Picture this: It’s 5 pm on a Wednesday, and you just learned that your food allergic child has been invited to a birthday party in three days time. Both you and your child really want to make this party work, but there is a lot to consider before you send in that RSVP. Now imagine that you have done all of the necessary legwork (i.e you have contacted the birthday child’s parents and asked about the food, ingredients, serving procedures, party location, etc), and you feel comfortable taking your child to the party. You spend the following three days scrambling to make safe versions of the foods that will be at the party (or maybe you just select a few of your child’s favorite snacks), checking and double checking any and all allergy meds, and going over the signs of a reaction with your child. The day before the big day comes, and it’s time for you to bake cupcakes. Why cupcakes? Because you know that the cake served at the party will not be safe, but you don’t want your child to feel left out, so you will spend the day lovingly crafting a batch of cupcakes so that your child will have a cupcake to eat at the party. More likely than not, you will need to make a dozen or more cupcakes, as that is what your recipe or mix will produce. Consequently, you may or may not have more cupcakes leftover than your child could possibly eat after the party has come and gone. Sound familiar? If you are an allergy parent, in all likelihood, this is a scenario you know well. Now, what if I were to tell you there’s a company out there making products with situations like this in mind? 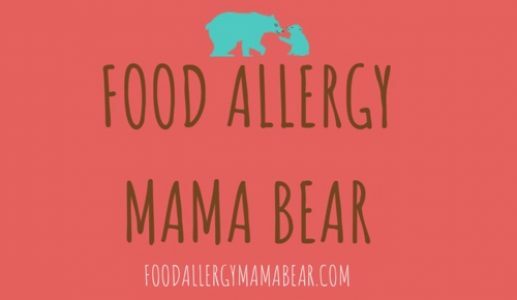 Allow me to introduce to you Fun for All Foods, a company created by and for allergy moms. Fun for All Foods specializes in creating fun, safe, and convenient baking mixes designed specifically for taking on the go. All of their products are Top 8 Allergen Free, vegan, and gluten-free. They are also free from sesame, mustard, celery, dyes, and preservatives. As if that wasn’t already awesome enough, all of their products are prepared in a dedicated “Free From” facility, and are subjected to extensive gluten testing. According to their website, Fun for All Foods was started by moms that were well versed in the challenges of trying to accommodate the dietary restrictions of a child with food allergies. This sparked in them a determination to discover an easier way to provide safe treats for their children (and others like them) than what was available to them at the time. This determination eventually prompted them to found Fun for All Foods, and begin manufacturing allergy friendly products focused on convenience, ease of use, and inclusivity. Now that you have a little insight into the appeal and background of Fun for All Foods, I want to share with you my recent experience with one of their products, specifically, their Chocolate Duo. The Chocolate Duo is a cupcake baking kit that includes almost everything you need to bake (and take!) two Top 8 Allergen Free cupcakes. When I opened up the box, I was pleasantly surprised at all that was included. As you can see in the above picture, each cupcake kit includes a bag of chocolate baking mix, a bag of frosting mix, thorough baking instructions, oven safe baking cups, a decorating bag, a carrying bag for transporting your finished cupcakes, and an ID sticker for labeling and sealing your treat bag. Baking the cupcakes was remarkable easy. The baking mix took less than five minutes to throw together, and I was able to mix it with a fork (no electric mixer! ), in a small serving bowl. Since the baking mix includes most of what you need, all that I needed to add was a little bit of water, and a couple tablespoons of butter substitute (I used Soy Free Earth Balance). I couldn’t help but sample the batter before I transferred it to the baking cups—it was unquestionably delicious! The hardest part was not gobbling it all up on the spot. I managed to refrain from this, though, as I knew I would have two sorely disappointed children if I did so. Transferring the batter to the baking cups was easy. I really loved the idea of including oven safe baking cups as they further minimized the post-baking cleanup. The cups themselves were sturdy, and visually appealing. Once in the oven, the cupcakes only took about 20 minutes to bake. They baked up beautifully! While my cupcakes were cooling, I mixed up my frosting. Again, the whole process took less than five minutes, and could be accomplished with just a small bowl and a fork. The only ingredients not included in the frosting mix were the dairy free margarine and/or shortening. The baking instructions give the option to use a combination of margarine and shortening, or all of one or the other. I was out of shortening at the time, so I opted to use just dairy free margarine (Soy Free Earth Balance). The result was a yummy frosting that tasted like a gourmet buttercream. The frosting came out a bit thin, and was rather shiny, but not too much so. I suspect it would have had a very different consistency if I had used shortening as well (likely, it would have been fluffier, stiffer, and whiter). A decorating bag was included in the kit, but no decorating tip. I could certainly have used the bag as it was, but I decided to fit it with a 1M decorating tip—this was strictly for aesthetic purposes. Once I had finished decorating the cupcakes, all I had left to do was prepare them for transport. I placed them in the carrying bag provided in the kit, and sealed the bag with the ID sticker. The tray in the bottom of the bag was sturdy enough to keep the cupcakes from sliding around too much, but some care was needed to prevent them from falling over. As long as the bag is kept upright during transport, though, I don’t think there is much need for concern. By now, I’m sure you are wondering how the cupcakes tasted when all was said and done. My boys were kind enough to share some of their cupcakes with me, so I can personally attest to how wonderful the flavor was. These cupcakes were absolutely delicious–you would never guess that they were made with a mix, or that they took little more than a half an hour to make, start to finish. Both of my children enjoyed them as well, having given them “two thumbs up.” Anyone that knows my children, knows that this is their highest form of praise for anything—only the very best of the best merits both thumbs up from them. All in all, I was very pleased with this cupcake kit. It was easy and quick to use, and resulted in beautiful, tasty treats. I look forward to trying the Vanilla Duo next, and I will definitely be keeping a few of these kits in my pantry for when I need a quick safe treat for my kiddos. If you are an allergy parent and these baking mixes are safe for your kiddo, I highly recommend checking them out. If you would like to purchase this or another Fun for All Foods product, you may do so on their website or on Amazon. If you would like to connect with Fun for All Foods, you can find them on Facebook, Instagram, Pinterest, and Twitter.